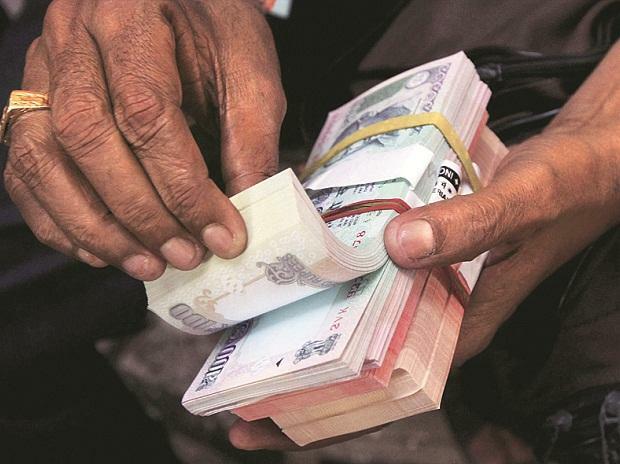 The domestic unit advanced 19 paise on Wednesday to close at 69.11 on strong foreign fund inflows amid the greenback's weakness against key rivals overseas. The rupee slipped 10 paise to 69.21 against the US dollar in the opening deals on Thursday. The domestic unit advanced 19 paise on Wednesday to close at 69.11 on strong foreign fund inflows amid the greenback's weakness against key rivals overseas. On the domestic front, inflation and industrial production number will be released on Friday, but are likely to have minimal impact on the currency. Expectation is that inflation in March could inch higher compared to the previous month, which could keep the gains capped for the rupee, says Gaurang Somaiya, Research Analyst (Currency) at Motilal Oswal Financial Services (MOFSL). "Today, USD/INR pair is expected to quote in the range of 69.05 and 69.80," Somaiya added. On the global front, Asian stocks stepped back from near eight-month highs on Thursday and the dollar eased as European and US central banks reinforced investor worries about the global economic outlook and trade protectionism, Reuters reported. The dollar index fell for a fourth straight day to 96.931 against a basket of major currencies. In commodities, Brent futures eased 16 cents to $71.57 a barrel. US crude dipped 27 cents to $64.34, Reuters report said.